Utilicast consultants love what they do. They have a passion for the industry and care about helping their clients to achieve the best outcomes. On average, a Utilicast consultant has over 20 years of experience and is well networked throughout the electric power industry. Most of our consultants have advanced degrees in either Electrical Engineering or Computer Science or have retired from careers as System Operators and Operations Managers. To get an idea of the breadth of experience that our Utilicast consultants bring, see a sampling of our team below. 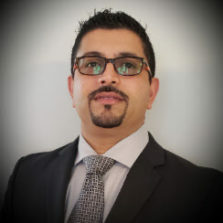 Mr. Parmar is an expert in SCADA Energy Management Systems (EMS) with over 13 years of experience as a lead engineer replacing several EMS/SCADA/DMS systems in North America, Asia, and U.A.E. Along with in-depth knowledge in SCADA, ICCP, Front End Communications (RTU protocols), EMS System architecture, etc., Mr. Parmar also has Technical Project Management and System Engineering experience in performing overall design, data conversions, gap analysis, integration, testing, implementation and support of hardware and software requirements to meet customer operational needs. Mr. Adams is a subject matter expert in Energy Markets with a wide range of experience in Energy Management Systems (EMS). He has worked with a variety of different clients on the design and implementation of EMS upgrades. This included leading the effort to design the Market and EMS displays for MISO Energy and the Southwest Power Pool. 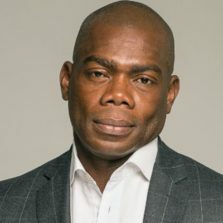 Mr. Isemonger is a business analyst, a professional energy economist and international expert who has specialized in wholesale energy operations since 1998. 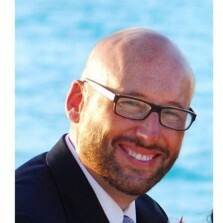 He is a market operations specialist and has worked in centralized markets in North America since 1998. He is also a published author in a number of industry journals, has served as an expert witness before the California Public Utilities Commission, and worked for International Financial Institutions in West Asia. 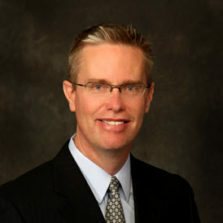 Mr. Hopkins is a Senior Project Manager with over 22 years of project management experience. He is PMP and ITIL v3 certified. He has been responsible for the management and delivery of many different projects at clients in several industries, both domestic and international. 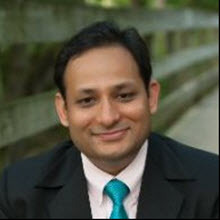 He has experience as a PM responsible for the planning, design, testing, and cutover of IT systems for Energy companies. Allan has managed multiyear programs to help Clients implement systems such as ETRM, Asset Optimization, EMS/GMS, ISO Trading/Scheduling, and Oracle RAC database migration. In addition, he has managed Clients joining ERCOT, SPP, MISO Power markets which included starting a Trading & Mid Office group, Front to Back Bus process, IT support team setup and processes, and developing IT roadmaps/strategy. Mr. Phelps has almost 40 years of engineering and utility operations experience. Key positions held include: Director of System Dispatching at Westary Energy, Manager of Interchange Scheduling and Director of the Real-Time Market at Midcontinent ISO and Director of Sales at OATI. He has extensive experience in Transmission and Generation Operations, Operator Training, Real Time Market Operations and Interchange Scheduling in an RTO as well as an IOU. Allen has leveraged this knowledge to successfully support sales and customer service to most of the major electric utilities and regulators in North America. Mr. Phelps has led the implementation of projects from small to continent wide (e-Tag 1.7) as a Subject Matter Expert and in various leadership roles. 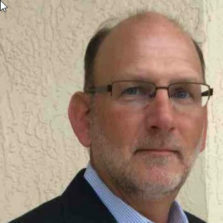 Dr. Hanson has over twenty five years of experience in power system engineering, operations and consulting with significant experience in Advanced Distribution Management Systems (ADMS), Distribution Automation (DA), Field Area Communications, T&D Analytics Regulatory advice and T&D system planning. 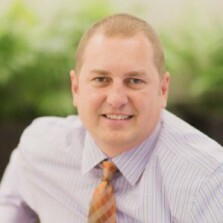 His expertise is focused on power delivery system operations and planning, having led the development and implementation of systems, processes, deployment plans for a variety of utility clients. Additionally, he has been involved with regulatory issues/compliance throughout his career, developing testimony and exhibits to support regulatory filings. He has taught courses on forecasting and planning, as well as fundamental engineering. 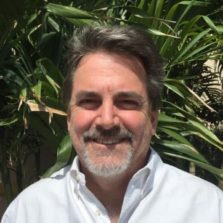 His work has been focused in North America, but has also worked in Europe, South America, and Australia as a Advisor, Subject Matter Expert, Planner and Project Manager on numerous engagements across the electric utilities industry. Mrs. Zwergel is a power systems consultant with 6 years of experience in real-time bulk electric system technology, wholesale electric markets, Sychrophasor devices, Smart Grid initiatives, project management principals, business development, business process improvement, regulatory compliance, and contract and vendor management. She has proven experience in the management of large, multi-million dollar projects including energy imbalance market design and implementation, market system replacement, and smart meter deployment initiatives. 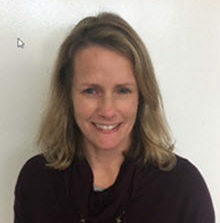 Ms. Conlin is a results-oriented management professional with 15 years experience in the Utility industry and 10 years experience in regulatory compliance. Barb has a proven track record of strong communication and interpersonal skills resulting in the development of solid relationships with co-workers, management, industry experts, and regulatory bodies. Barb’s recent focus has been in support of regulatory compliance program development for NERC Critical Infrastructure Protection (CIP) Standards within the Utility industry; this has included developing efficient and effective processes and procedures, establishing risk-based controls frameworks and monitoring approaches, and preparing entities for and overseeing execution of audit activities. Dr. Tsala has a wide range experience in the Power Sector Reforms and U.S Markets. He is known for his expertise in Energy Portfolio Management from operational and risk management perspectives. 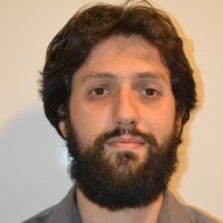 He specializes in Electricity Markets Design and Operations, Bidding Analytics: concepts, implementation and market validation, Capacity and Transmission planning, Energy Portfolio Management: supply, demand, smart grid Assets Valuation, Software Engineering and Algorithms Design: Portfolio Scheduling and Markets Optimization. Mr.Knox is an electric utility industry subject matter expert in real-time data infrastructures, historian systems, and integration to energy management systems and substation devices. He is responsible for assisting electric distribution and transmission companies in the design, development, and delivery of world-class, data-driven solutions. 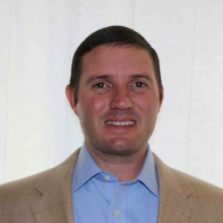 He is focused on helping clients improve the reliability and efficient operations of the grid through optimized data management, asset monitoring, and health analytics, and enhanced control room situational awareness. He has nearly 20 years of experience in the North American energy and utility industry, including oil and gas, power generation and renewable, and energy transmission and distribution. Ms. Lee is a Senior Manager. 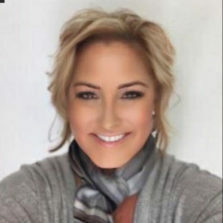 She has over 18 years of experience within the energy industry with expertise focused on wholesale and retail energy markets within California, Ontario, Midwest, Southwest, and PJM. Ms. Lee has worked extensively with the ISOs in California, Midwest and the Southwest on activities that supported the launching of major markets and FERC mandated initiatives. In the past two years, she has been working with a large utility in California managing their SmartGrid technology pilot programs. 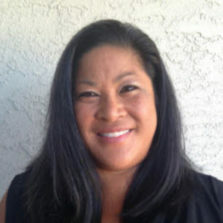 Ms. Lee has extensive project and change management experience, which includes program/engagement manager, business requirements and business process definition, system implementation, testing, training, and organizational readiness. 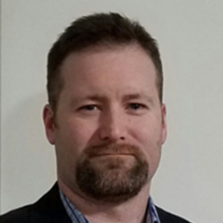 Mr. Eagleton is an energy management system consultant with over 7 years experiences in project management, system implementation, advanced energy storage, renewable energy, cyber-security, regulatory compliance, and business development. His experience in the management of utility scale projects including the deployment of multi-megawatt battery systems, generator interconnection, critical infrastructure protection systems, energy management systems, and NERC CIP compliance. 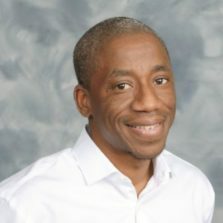 Mr. Ellison is a consulting professional of 13 with a focus on procedure and software development at various organizations with a primary focus in the energy industry. A record of improving business processes, providing superior customer service and delivering quality solutions to internal and external stakeholders. Mr. Holmes has assisted a broad range of clients implement solutions for wholesale and retail power markets during his 13 years working in energy. He has successfully combined subject matter expertise, leadership and project management to lead several large projects. His experience spans policy development, business and technology assessments, training development and delivery, system design, development, testing and implementation. Mr. Holmes is PMP certified. Mr. Richter is an engineer with many years of experience: technical team leading; development and integration of algorithmic, business process, and software solutions for electric power entities such as regional transmission operators, central energy market operators, electric utilities generating electricity and participating in deregulated energy markets. Specialties:Deregulated markets; power systems; optimization; settlements; proposals and requirements gathering; software solutions; training; integration; testing. Mr. Unton provides a process focused approach to Cyber Security and NERC CIP compliance. By utilizing robust process improvement techniques such as Six Sigma and instituting process & technical controls, helps its clients achieve the risk management goals of a strong Cyber Security and compliance program. Ms. Lanease is a hard-working, driven individual who has over 6 years of experience working in the utilities industry on CIS/ERP implementation and maintenance projects as well as smart grid meter implementations. 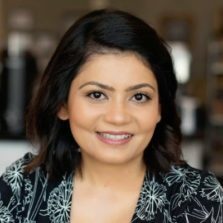 She focuses on Project Management, Program/Project Coordination, Change Management and Quality Assurance which utilize her adept skills of multitasking, communicating, coordinating, and understanding project needs to create the highest value for clients. Mr. DiCarlo is an Information Technology Leader with over 16 years technical and functional experience in SDLC and System Integration. Combined with strong project management abilities; has managed development teams, designed technical solutions, and delivered process change through data driven analysis. Organizational leader with a technical skill set and business acumen to deliver sensible technical solutions and business process improvements that effectively solve problems, increase productivity and deliver projects on time and budget. Mr. Compton has 19 years of business and technical consulting in wholesale and retail power markets. He has successfully managed projects for CAISO, SPP, MISO and ERCOT market participants. 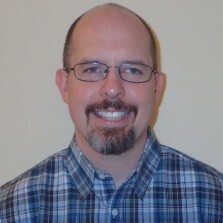 David is a subject expert in ETRM integrations, enterprise architecture and operations. Accomplished as a Data Scientist, David is a leader in operations, transmission and real-time data analytics for clients. 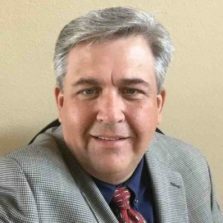 Mr. McGinnis has over 25 years of utility industry experience including 14 years of RTO/ISO and energy deregulation experience. He has managed development teams for multiple projects including EMS installation and upgrade; redesign of settlement, energy pricing, and energy accounting systems; wholesale and retail deregulation, and RTO implementation. Functional background includes energy management systems, settlements, billing systems, energy accounting systems, transmission operations, and power contracts. He has extensive experience in control area operations and support, technical support and settlement. 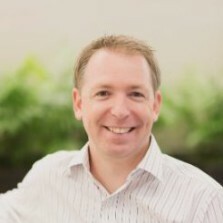 Mr. McGinnis also has extensive knowledge of system development methods, best practices and has led multiple project teams through the complete systems development life cycle. Mr. Luedtke is a worldwide expert in Energy Markets with significant experience in Energy Management Systems (EMS), Power Operations, Synchrophasors and Smart Grid Technology. 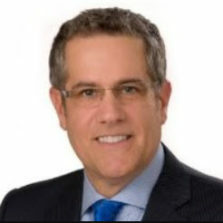 He has worked in North America, Asia, and Europe as a Program Manager, Adviser, Subject Matter Expert, Auditor and Expert Witness for numerous engagements across the electric utilities industry. Mr. Kothari has 20 years of experience in Information Technology with well-rounded background as Lead Consultant, Enterprise Architect, Solution Architect and Developer. He also has 12 years of experience as a Lead Consultant & Senior Architect leading teams with focus on project delivery, creating standards, develop blueprints, architecture roadmap, vendor / tool selection, RFPs, develop integration architecture and mentor junior architects. Mr. Kothari’s broad expertise in project delivery, successful execution of mission-critical projects, drive key decisions, presentations to top management, vendor management, offshore team management and manage customer relationship. SOA Certified Architect, Sun Certified Enterprise Architect (SCEA), TOGAF Foundation Certified. Mr. Amefia is a high performing, accomplished and driven consultant with over 10 years in the consulting industry and multiple years in the Energy and Utilities industry. Experience helping clients define and solve business problems and transform into industry leaders. Diverse skills and experiences including project and program management, continuous improvement, systems integration, quality assurance, IT road-map, business process design, technical architecture, business intelligence, and enterprise architecture. Deep functional expertise in Electric Grid Operations and Smart Grid Technology. Mr. Blackburn is an executive-level energy-restructuring adviser with specialized expertise of an Independent System Operator or Regional Transmission Operator (ISO/RTO) within the United States. With over two decades in energy deregulation, Mr. Blackburn engaged with regulators, commissioners, legislators, senior executives, and market participants, and has provided extensive assistance in market rule development, contract negotiation, system implementation, business process improvement and training. Mr. Blackburn has managed comprehensive programs and projects to bring operational and market readiness for clients. For the MISO wholesale market, Mr. Blackburn was responsible for the full-scale rule development, software build of back office settlement systems, system implementation, and hiring and training of staff. For the ERCOT markets – both zonal and nodal market designs, he has provided the full-scale rule development, regulatory support, and Market Participant systems. 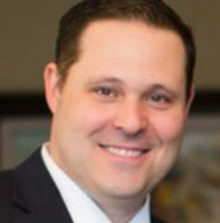 He has provided market and system readiness services to clients including Pacific Gas & Electric (California), ONCOR Energy Delivery (Texas), and CenterPoint Energy (Texas), Entergy (Southeast US), and to ISO/RTOs including the Electric Reliability Council of Texas (“ERCOT”), CalISO, SPP, MISO Energy, PJM, ISO-NE and the New York ISO. 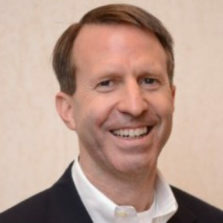 As a Founding Principal of a highly-successful Consulting firm and proven Business Development Executive in the Electric and Gas Utilities and Energy Markets industry, Mr. Blackburn’s experience encompasses Strategy, Human Resources, Operations, Markets, Communications, Public Policy, Advocacy, Compliance, Business Intelligence, and Program Management. Mr. McCormick has over 30 years of experience and a broad understanding of the energy industry covering energy market readiness, smart grid and smart meter deployments, revenue cycle integration (meter to bill), large scale energy systems integration projects, and various consulting engagements covering a large array of subject areas. Possesses extensive experience and in-depth skills in guiding system integration solutions; practice, program and project management; effective communication at all levels; complex problem solving; facilitation and consensus-building at the executive and senior executive levels. 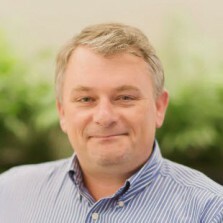 Mr. McCormick is a high energy, inspirational and results driven information technology leader/architect/CTO with a track record of success creating scalable, cost effective IT solutions. Eamonn is focused on architecting and implementing “big bet” technology and business transformation initiatives for utilities. 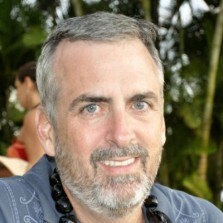 Eamonn attains aggressive goals, catalyzes change and advances sustainability by designing and executing high performance-based architectures and strategies. 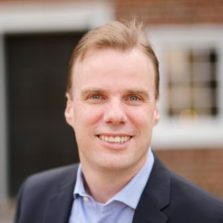 Eamonn also forges collaborative cultures and trust-based relationships at all levels of the organization (business leaders, project managers, architects, solution engineers, customers, technology support staff, vendors). He is committed to positive, tangible customer outcomes. Mr. McCamant is a business and strategy development partner for organizations involved in energy resource management and smart grid development. He assists in public and private entities develop a strategic focus for their business development efforts – and translate that strategy into action. He has over 33 years in the industry and has tackled some of the toughest utility management challenges on the public agenda. Mr. McCamant is results-oriented, and his collaborative style has won the trust and support of stakeholders. 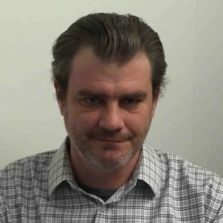 Mr. Messoroch has fifteen years of enterprise-level software development and deployment experience with focus on systems integration, data management, transformation and analysis. Mr Messoroch is a gifted thinker and problem-solver with exceptional technical aptitude and even stronger interpersonal skills. He is adept at analyzing complex requirements and breaking them into simpler steps in order to complete tasks in a timely manner. He is strong in creativity, which enables him to pursue new approaches to solve complicated issues. Mr. Messoroch writes clear and concise code, and his abilities extend to data design, performance tuning, testing and mentoring. He specializes in ISO/RTO Experience, Systems Integration, Data Modeling, Application Design, Application Development, Data Warehousing, Oracle. 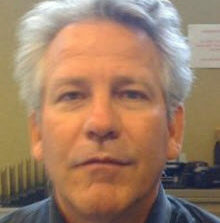 Mr. Hansen has 33 years of experience in information technology. Thirty years of experience with Seattle City Light, 27 years of experience with Energy Trading Systems, Energy Management Systems including Supervisory Control and Data Acquisition systems and plant automation systems. Multiple projects delivered on time and on budget including new state of the art EMS system, plant control systems, and energy trading and risk management systems. 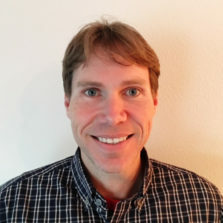 Mr. Hansen has developed wholesale power accounting systems, power plant control and communication systems, Energy Management System specifications and implementation for Seattle City Light, Energy Trading and Risk Management Systems, interfaces to CAISO, interfaces with BPA CFI. 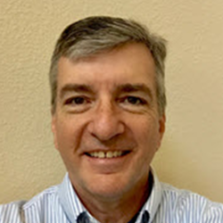 Mr. Friddle has 23 years of business and system consulting experience with more than 17 years in wholesale and retail electric energy markets and transmission operations. He has deep cross-market functional and operational knowledge from front through to back offices and with the systems that support those processes. He has proven delivery and project management capabilities in all facets of the software development lifecycle from requirements definition through the implementation of business solutions. Specializing in Market Operations and Network and Commercial Model Management, Mr. Friddle has been an integral part of the development and roll-out of the original MISO Day-ahead Real-time Market, SPP Energy Imbalance Market, and SPP Integrated Marketplace. 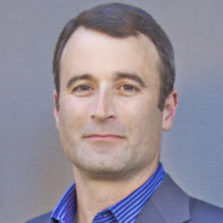 Recently he has been engaged with CAISO and clients in the Western Interconnection to integrate into the CAISO Energy Imbalance Market. Mr. Fruit is a Subject Matter Expert in Electricity Market Settlements. Specializing in the implementation and integration of energy settlement software. Program and Project Manager for Electric Market initiatives. Vendor Management for large scale software implementations. 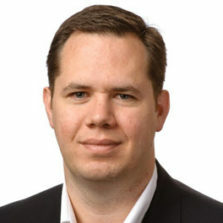 Mr. McGrath is an executive with over 25 years of domestic and international experience and a proven record for building and leading enterprise business transformation and technology initiatives focused on improving the financial and operational performance of companies ranging in scope from $1 million start-ups to $100 billion multi-national corporations. Expertise honed through experience gained in senior corporate and interim executive roles and at global consulting firms on projects in the energy, financial services and technology industries. 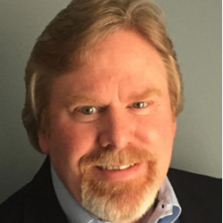 Mr. McGrath has experience and expertise in business and information technology strategy, operating model assessment, design and transformation and complex program and project management and remediation. 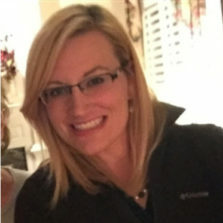 Ms. Pedersen is an accomplished leader with over 15 years of experience in the wholesale electric industry with specific focus in regulatory compliance program development for NERC Critical Infrastructure Protection (CIP) Standards, training and curriculum development, process mapping, procedure design/implementation, and wholesale energy market operations. Mr. Phelps has over 10 years of industry experience including Operations Engineering and EMS Engineering at MISO. At Duke Energy Midwest, Joel held the positions of EMS Engineer and NERC Certified Operator in Transmission Operations. 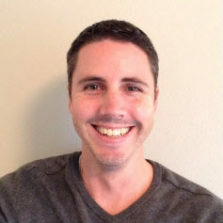 Joel is familiar with System Operations in a stand-alone Balancing Authority Area as well as within an LMP Market. Mr. McCall has a broad experience managing software development, integration and testing projects, managing infrastructure architecture and implementation projects, performing enterprise architecture consulting, and providing project and program management for large/complex technology initiatives. With over twenty-five years of consulting experience, Mr. McCall’s last twelve (12) years has been spent in the wholesale and retail energy and utilities sector. For the past eight years Mr. McCall has worked almost exclusively at either MISO or ERCOT. 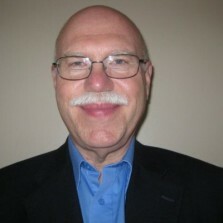 Mr. Schaffroth has chaired work groups and been a board member for organizations throughout the Western Interconnection. He is a subject matter expert on e-Tagging scheduling systems, operations, and Energy Imbalance Markets in the west. 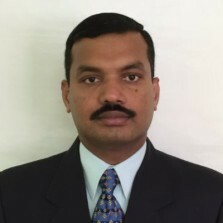 Mr. Binstead has worked in the power industry for over fifteen years, specializing in large-scale systems deployment, architecture and project management, particularly in the ISO/RTO industry. His experiences include providing leadership as well as technical expertise on several major projects, functioning in roles such as Solutions Architect and Project Manager. Mr. Binstead is involved with large-scale energy market implementations in multiple ISOs. His technical skills include enterprise architecture, technical integration, business process analysis and solution development. Mr. Donald has over 15 years of experience in all phases of software implementation supporting electricity markets and specialization in settlements and utility billing. His strong credentials in regulatory affairs, market design, application architecture, technical writing as well as system design, development and testing have been critical to the success in programs of remarkable scale and strategic schedule. He also demonstrates a unique combination of mastery in the domains of engineering, economics and accounting as well as a sleeves-rolled-up approach to delivery, which are keys to making certain clients are able to overcome obstacles, solve complex problems and achieve their goals. 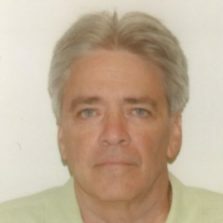 Mr. Maxwell is a seasoned utility industry management and information technology consultant with a focus on wholesale energy deregulation, ISO/RTO seams issues, energy market settlements, energy market pricing, market monitoring, electric utility distribution engineering, and NERC Critical Infrastructure Protection. 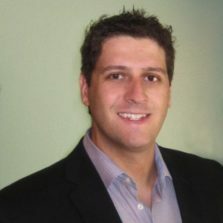 He has worked throughout the US as a subject matter expert, business analyst and project manager. 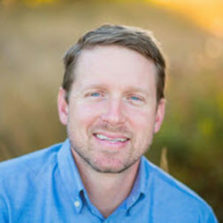 Mr. Morelock is a skilled energy professional with significant experience managing customer experiences throughout the life cycle of development projects, customer implementations and ongoing support. Kevin has over 20 years of experience working in the energy industry with a focus on wholesale energy markets. Mr. Radjabli is registered Professional Engineer in Ontario, Canada and has over 20 years of experience in EMS/SCADA and real-time applications, software integration, power network analysis, power system modeling, and system simulation. 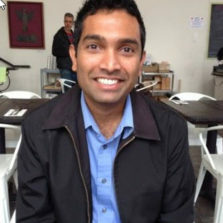 In addition, he has experience in various commercial software applications, implementation of modern technologies, feasibility studies, procurement and bid evaluation processes, commissioning and performance testing of electrical equipment and software, software development, large databases, software integration, and control systems design. He has experience in preparing technical specifications and proposals for international government projects and international consulting work (CIDA and World Bank). Mr. Radjabli is fluent in several languages and has working experience in USA, Canada, Paraguay, South Korea, Nicaragua, Russia, China, and Azerbaijan. Mr. Kennedy is an IT architect and developer. 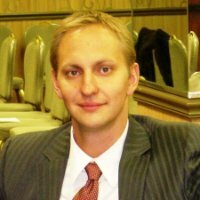 He has worked with Alstom (GE), ERCOT, SPP, PCI, and Oracle on various large-scale projects within the utilities energy space. 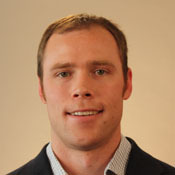 Mr. Arnett is a Project Manager specializing in electric utilities, specifically markets and market integrations. He has worked in in 5 different markets across North America for both the market operator and the market participant. 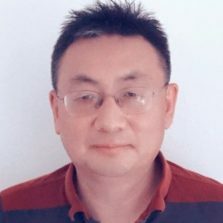 Mr. Zhou has twenty-five years of experience in the Energy Industry focused on RTO/ISO operations, software design, business process design, and analysis. For the California ISO, he provided leadership in design, and implementation of all CAISO’s enterprise systems. He served as the ISO’s go-to expert for all policy, legal, business, design, operations, and settlement issues related to the bid to bill solution. A key CAISO leader in the successful implementations of four EIM customers, PacifiCorp, Nevada Energy, Peugeot Sound Energy, and Arizona Public Service. 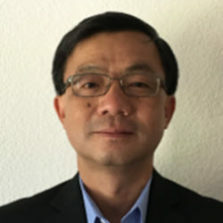 Mr. Zhou has also served as the CAISO’s key leader for most of major CAISO initiatives in the past 8 years including: Multi-Stage Generation, Virtual Bidding, FERC 764 (15-minute scheduling), Bid Cost Recovery Enhancement, Energy Imbalance Market, Flexible Ramping Product, Demand Response and Non-Generator Resource Model. Hands-on experience in all phases of software development life cycle. Ms. Evers is an experienced IT professional with an extensive background in the planning, development, and training of system based learning solutions using multiple platforms for delivery. 15+ years experience in personnel development, preparation of budgets, financial analysis, and progressive management in all areas of operations. Mr. Gaddam is an expert in design, development and testing of EMS/SCADA applications. He has extensive experience in developing network model, developing and tuning various network applications including State Estimation, Real Time Contingency Analysis, Dispatcher Training Simulator (DTS), Automatic Generation Control (AGC). Experience in full life cycle of EMS/SCADA replacement project. Strong knowledge of WECC/NERC compliance requirements. Drafting team member on some of the WECC reliability standards. Mr. Gaddam has expertise in testing and tuning of Real Time Voltage Stability Analysis (VSA) applications. Hands on experience with several major EMS/SCADA vendor platforms including ABB Network Manager, GE/ALSTOM Grid EMP Applications and V&R Energy, PowerTech VSA and PowerWorld applications. Mr. Gaddam also has strong knowledge of various synchrophasor applications like, Oscillation detection, Mode Meter. Mr. Baustert has over 39 years of working experience in our industry. After a 30-year career at Detroit Edison where he filled a variety of roles, the latest as a project manager for their EMS/DMS project, Operations Manager, OMS implementation, WMS project, DTE/MichCon merger, Business process re- engineering and others. 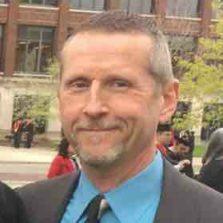 After retiring from Detroit Edison Mark joined DNV GL (KEMA) consulting for 9 years where he led their Distribution Practice, he participated in a wide variety of project while working there for Distribution and Transmission systems. Mr. Ristanovic is a NERC certified system operator with a background in economics and computer science. He has gained a broad range of experience in the energy market working at PacifiCorp, in both grid operations and energy supply management, primarily focused on the energy imbalance market. 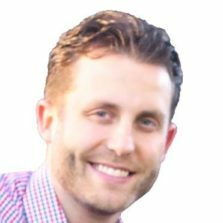 Mr. Ristanovic has experience in EIM analytics, optimization, EIM outage management, EIM generation desk operations, and energy trading. Mr. Saini holds a passion for Project Management and has served his entire career serving the Electric Power Transmission Industry. Mr. Saini is currently providing his services as a consultant to the Information Technology (IT) Department at MISO in the role of Project Manager for the RSA replacement project. 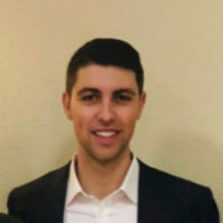 Besides MISO, he has worked at California ISO and Southwest Power Pool (SPP) where he was involved in Project Management, Business Analysis in support of Current and future business processes. He possesses 15+ years of electric transmission industry in Project Management, IT coordination and release management, Business & Systems analysis, Functional & Performance testing and Software Development. Mr. Schnitger is an ISO/RTO specialist focused on providing advisory and project management services for potential and current market participants. Most recent projects include software implementations and special projects to support market participation. These include CAISO MRTU, FMM, and EIM, ERCOT Nodal Market, SPP IM, and MISO ASM. He also has specialized experience in designing and implementing methodologies to allocate market settlement charges to market sub-participants to optimally value transaction activity at the generator and trader level. 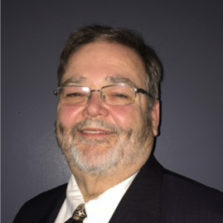 Mr. Sturlis has 30+ years of IT experience with a concentration in Business/Data/Process/Service Architecture/Modeling and Metadata management. 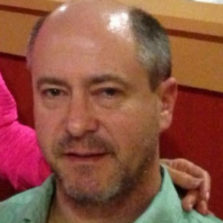 Mr. Medler is an energy professional with more than 18 years of experience. He has fulfilled roles in various functional areas at both ISO/RTOs and market participants, most notably in NERC Compliance, Regulatory Policy, ISO Settlements, and Finance. He has often been trusted to implement creative solutions with limited resources. With the right mix of market and technical knowledge, he’s a versatile team member who has never gone over budget. Mr. Medler brings tangible enthusiasm for projects that involve data analysis and presentation, particularly with data visualization. He also has a solid background of industry basics such as requirements development, market participant liaising, testing, training, quality assurance, and auditing. 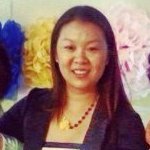 Ms. Phu has 14 years of experience in the power energy industry. Ten years of consulting experience working with clients ranging from utilities to merchant companies. Experience from ISO settlements to power scheduling. Exceptional analytical and implementation skills most recently exhibited by work at Portland General Electric in supporting CAISO EIM Readiness Project. Mr. Chavan is a Senior ERP and Middleware Solution and Integration Architect with responsibilities for providing project management, integration services, and e-business solutions. He has designed, managed, and deployed projects on both large and small scales. He has experience in Integration installations and configurations, complete data migrations, and conversion projects. Rahul’s industry exposure includes aerospace, electronics, healthcare, manufacturing, retail, and not-for-profit. 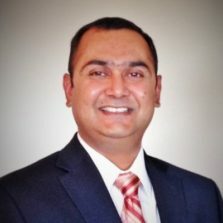 Mr. Chauhan has over 16 years of experience in energy industry, working with EMS/SCADA/DMS/GIS, power system modeling, real-time applications, software integration, power network analysis, and system simulation. In addition, he has experience in feasibility studies, procurement, bid-proposal processes, commissioning, site and performance testing of utility softwares, software development and deployment. He has experience in preparing technical specifications and proposals for large scale utility projects, international government projects and international consulting work. 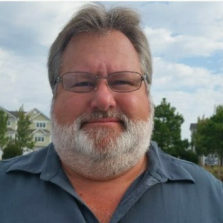 Mr. Gulley has worked in the energy industry for over 26 years including 18 years consulting. He has experience and knowledge working with utilities and energy marketing companies that operate across various commodities (Power, NG, Oil, Coal, Renewables). He has worked with power clients which operate in all major US Power Markets (CAISO, ERCOT, PJM, ISONE, NYSIO, MISO, and SPP). Reggie has worked with NG clients that operate on all major North American pipelines. He has experience dealing with the various stages of IT and business project lifecycles, including initial feasibility analysis to design through to development, implementation and change management. 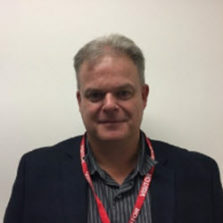 Mr. Miller is a Senior Project Manager possessing broad international experience in delivering technology and process solutions for the past 25 years. He regularly leads cross-functional teams in delivering large-scale systems implementation projects. He is effective at collaborating with business users to identify and deliver sustainable IT solutions. 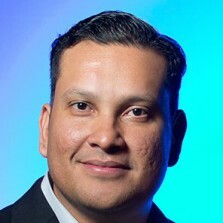 He is typically responsible for providing effective executive communications and managing stakeholders throughout the implementation of enterprise-wide technology solutions. 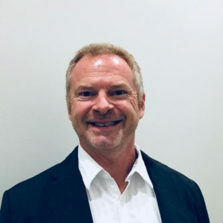 Mr. Miller has experience working directly for Market Operators (ERCOT, NYISO, SPP) as well as Market Participants, leading a diverse set of engagements including solution architectures, system roadmaps, vendor evaluations, and systems integration. Mr. Hoefer is an expert in the areas of ISO/RTO market design, settlements and Tariffs. Mr. Hoefer was instrumental in the original design of the NYISO markets and also in the subsequent Standard Market Design 2 (SMD2). He specialized in developing settlement rules and Tariff language regarding these rules. 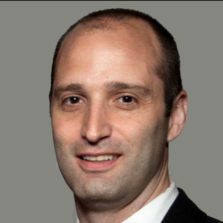 Mr. Hoefer later assisted MISO in development of the Energy and Operating Reserves Market, especially in the areas of settlements, ancillary services and Tariff design. Mr. Hoefer has also provided similar assistance to CAISO, SPP, and various other parties in the U.S. 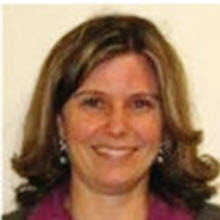 In addition, Mr. Hoefer has aided the NYISO in developing solutions to several seams issues. He assisted in developing Coordinated Transaction Scheduling, currently used between NYISO and PJM and NYISO and ISO-NE. He also assisted in development of Market-to-Market (M2M) dispatch between NYISO and PJM. Mr. Schaal brings an expansive set of experiences and subject matter expertise managing projects associated with the development and delivering Energy Management Systems, Markets and Settlement, Substation Automation Systems, and projects involving Distributed Energy Resources and their optimization for participation in Energy and Capacity Demand Response markets. 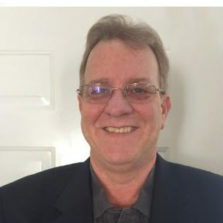 Rick has been directly involved in programs and projects delivering to the operational needs and requirements of Electric Utility companies and their customers throughout the United States, Canada, Asia, Australia, and Europe taking up residence in many of those locations to better support the needs of Utilities being served. 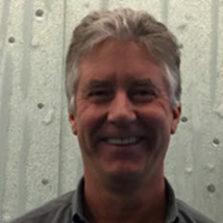 He has been providing project management and technical design leadership to the NWPP MC Initiative directly working with member utility companies, including the Bonneville Power Administration, Seattle City Light, Portland General Electric, Avista, Tacoma Power Company, Peak Reliability (formerly WECC) and others. This effort resulted in the design and implementation of regional application tools to enhanced the overall reliability of the Northwest footprint. This same effort also provided NWPP MC Executive Committee and stakeholders with detailed designs and analysis of alternative models and technical system approaches for a Northwest Energy Imbalance Market. Mr. Guia has over 15 years of broad experience in the regulated and deregulated electric utility industry. 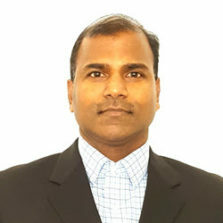 He is an expert in electric utility systems with significant experience in Enterprise Architecture, Integration, retail and wholesale billing, retail and wholesale settlements, ISO/RTO’s Smart Grid/AMI and Distribution Operations. 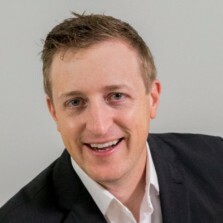 He has worked at over twenty utilities throughout North America and provides management consulting to both the IT and business areas. He has proven capabilities in managing and leading multi-disciplinary teams throughout the project lifecycle for large, medium and small utilities, both investor-owned and municipalities/co-operatives. Mr. Miller has a passion for electricity markets. For nearly 15 years, he has focused on expanding electric power markets and assisting market participants to take full advantage of new opportunities. Mr. Miller has a deep knowledge of both functional and technical aspects of energy solutions, having led projects spanning operations to settlements. His roles have included activities such as: program and project management, market design, requirements development, testing and quality assurance, release management, stakeholder management, training development, process improvement, and data analytics. Mr. Turner is an expert in implementing and operating Energy Markets, with significant expertise in the California Independent System Operator (CAISO) Energy Imbalance Market (EIM). He has served as a System Integrator, Subject-Matter Expert, Supervisor and Operator in Transmission and Merchant Operations groups. Mr. Dermanel is an expertise in Control Systems and has been working in the power industry for the past 11 years. 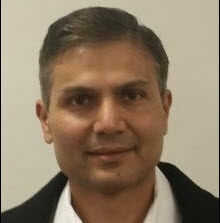 He has extensive experience in network applications, network modeling, SCADA/EMS, and real-time system operations. He provided consulting services on large SCADA/EMS replacement and upgrade projects for large utilities like TVA, ERCOT, PJM, PacifiCorp, and PGE. He has hands on experience with major EMS vendors (AREVA, SIEMENS, ABB, OSI). 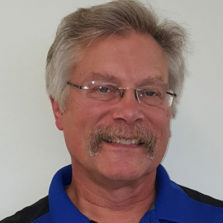 He has advanced knowledge of AREVA EMS, SIEMENS SPECTRUM EMS, ABB RANGER EMS, and OSI EMS platforms Testing, tuning, and maintaining the State Estimator, Dispatche Power Flow, Equipment Outage Scheduler, and Contingency Analysis, Training Simulator. Network modeling using vendors proprietory database and formats. CIM Modeling and model conversion. Model maintenance and validation. Merging models. Troubleshooting real-time issues for State Estimator and Contingency Analyis. 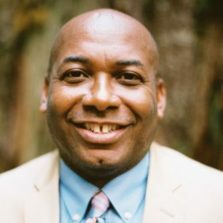 Mr. Marshall is a Marine Corps veteran and seasoned professional in Information Technology Management providing technical and managerial support of production and development environments, as well as developing long-term strategic and tactical initiatives. Responsibilities include planning studies, requirements definition, system specification, vendor qualification, proposal evaluation, contract negotiation and resolution, design review, development of test plans and test procedures, factory acceptance testing, and system commissioning. 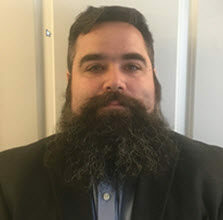 Mr. Marshall has significant cyber and physical security systems experience with industrial control systems and critical infrastructure environments including policy, procedures and program development, as well as security architecture design, risk assessment, implementation, and determination of necessary and achievable mitigation strategies. Mr. Middleton has over 16 years’ experience in the Energy Industry. Specializations include managing large-scale projects related to Energy Management Systems, Market Management Systems and trading applications. 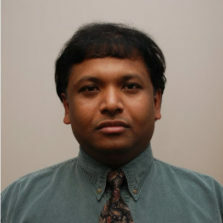 He has worked in the ERCOT, WECC, SPP and AESO systems in the US and Canada. Of note, Mr. Middleton played a key leadership role in the launch of the ERCOT Nodal Market with responsibilities spanning from Market Participant Registration, Market Participant Qualification as well as the eventual transition from the legacy Zonal Market to Nodal in December of 2010. Mr. Staples is a seasoned professional with deep practical experience in and solid understanding of a diverse range of large project implementation, system integration, and electric grid operations. He has demonstrated ability to manage, coordinate and inspire groups from very diverse backgrounds and knowledge sets including Operators, Engineers and Business staff. He excels at difficult problems that have faltered or failed in past projects. His ability to understand complex problems, break them into workable groups and explain in easy to understand terms is unmatched. Mr. Spector has 20 years of business and system consulting experience with more than 15 years in wholesale and retail electric energy markets. He has deep cross-market functional and operational knowledge from front through to back offices and with the systems that support those processes. He has proven delivery and project management capabilities in all facets of the software development life cycle from requirements definition through the implementation of business solutions. Mr. Spector has used the skills gained to consistently deliver solutions for clients like PPL/Talen, MISO, AES, NRG, and others. 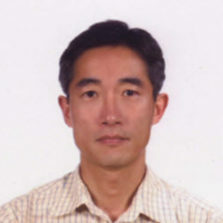 Mr. Tao is a subject matter expert in Electricity Market Operations, Designs, Optimization, and Economics. He has broad experience and in-depth knowledge specializing in Market Management Systems (MMS) and Energy Management System (EMS) software design, development, testing, and integration. Ms. Bhardwaj is a relationship-focused Project Management Consultant. She is an expert at leading diverse strategic, technology, and process improvement projects in the Energy and Utility Industry. 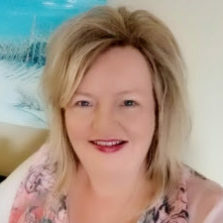 She has thorough knowledge of PowerCosts (PCI) products and excels in both Agile and Waterfall software development and implementation methodologies. Mr. Grendel is an experienced leader in Energy Management Systems (EMS), Power Operations, Data Center and Control Center design, construction and operation as well as NERC CIP compliance and Readiness. He has worked as a Program Director and Project Manager throughout his career and held multiple Director level positions within the electric utilities industry. Mr. Kelly has over 20 years of experience in the electric utility industry working in a variety of positions. Six of those years were spent with Scottish Power during the time of market deregulation. Mr. Kelly has spent the last 15 years working for PacifiCorp. In addition to the utility experience listed herein, Mr. Kelly has spent 6 years working in the retail, financial and transport sectors for organization’s like Marks and Spencer, Stena Line and Direct Line financial services. Mr. Kumar is a senior Smart Grid expert with over 23+ years of consulting experience in business process, systems, integration and technology solutions for Energy Utilities. 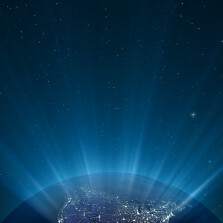 Domains include Distribution Management (DMS), Advanced Metering (AMI), Outage Management (OMS), Asset/Facilities Management (GIS/AM/FM), Mobile Dispatch, Crew Management, Storm Management, Mobile Technologies, Reliability Reports, Real Time Systems/Interfaces, Big Data/Mining, Enterprise Systems, Web Applications, Databases/Warehouse, and general Smart Grid Consulting in Electric Distribution Solutions. Mr. Thaker has 10 years ISO/RTO/Utility consulting experience in the Electricity Markets space. An ability to bridge the gap between business and IT. CAISO EIM experience. 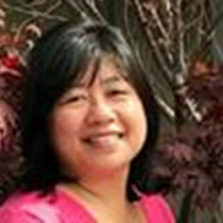 Ms. Peng is a worldwide expert in power market design, power system analysis etc. she has worked in both USA and China. 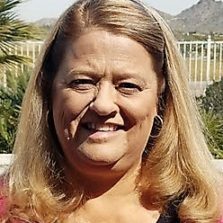 Ms. Peschka has 37 years of energy industry experience in both utility and competitive market positions including dispatch/grid operations, wholesale marketing, power planning, internal trading controls risk management and portfolio management. Most recently, she managed the overall implementation of Portland General Electric’s entry into the Western Energy Imbalance Market to a successful go-live in October, 2017. 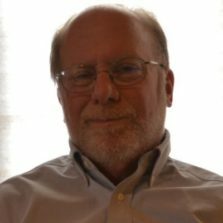 Mr. Taylor has over 30 years of experience in electric distribution planning, design, operations, and asset management. 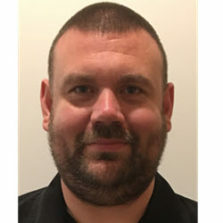 He also has experience in business development and technical sales support in ADMS, asset management systems, and overcurrent protection products. 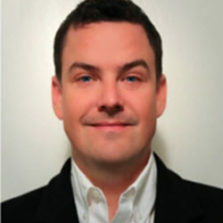 Mr. Taylor has led and participated in many projects with North American utilities, with limited participation at European and Latin American utilities. 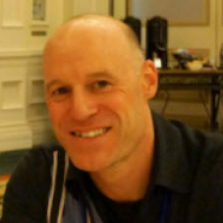 He has written or co-written many papers and articles, and has presented at many conferences. He has served as an instructor for electric distribution courses. 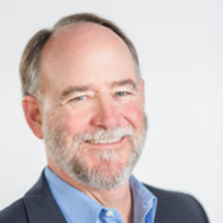 Mr. Taylor is a Senior Member of IEEE, and a member of the Distributech Advisory Committee. 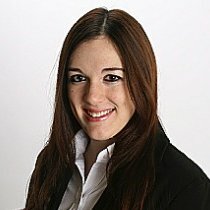 Ms. Wolfgang has over 15 years experience on multiple Energy Management System replacement projects for the utility industry that have started with business case analysis, requirements definition, statement of work development, vendor evaluations, and after award system implementation activities. 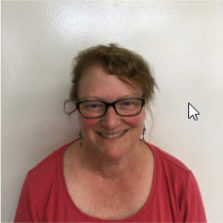 Ms. Wolfgang has most experience with project controls in terms of schedule maintenance, progress reporting, cost analysis, and records maintenance. Ms. Wolfgang also has NERC 693 standard experience with providing compliance monitoring and reporting for multiple utilities for the past 8 years. Ms. Ramirez has been involved in the energy sector for over 14 years with experience spanning from transmission interconnection studies, power system studies for power producers, ISO’s, energy market analysis, and smart grid implementation in distribution systems at major US utilities. Before joining Utilicast, she was a Manager for The Structure Group for 8 years with smart grid assignments in the distribution automation and IT DMS areas. 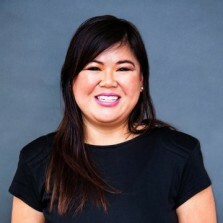 Previously she had worked at Navigant consulting as a Senior Consultant were she participated in transmission asset analyses, FERC compliance, and transfer capacity/ interconnection access in the transmission systems. She has also worked at PB Power as an Engineer Consultant performing studies on grid congestion/pricing, congestion management, ancillary service functions, and reactive power assessment of deregulated markets performed through modeling of the system using different power tool applications. Ms. Ramirez is the co-author of several white papers, holds two US patents, and has authored several articles on energy and sustainability. 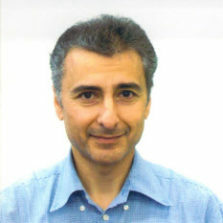 Mr. Manikyan is a licensed professional engineer who has expertise in the implementation of large EMS Systems. He has Masters in Power System Engineering and he started his career as EMS program developer and later played several key diverse roles like Operations Engineer, Lead Engineer, Manager and Consultant in different organizations in EMS space. Mrs. Harper is an executive-level energy-restructuring advisor with specialized expertise working with Independent System Operators and Regional Transmission Operators (ISO/RTO) within the United States. Having engaged with regulators, senior executives and market participants, she has provided extensive assistance in market rule development, contract negotiation, system implementation, business process improvement and training. 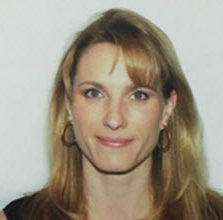 Mrs. Harper has over two decades in energy deregulation, beginning with the implementation of back office settlement systems in the California wholesale market to full-scale rule development and system implementation of the ERCOT retail and wholesale market –both zonal and location-based marginal pricing. Mr. Dow is a nationally known expert in the distribution and customer service area for utilities. He has experience in implementing AMI, ADMS, Work Management and Graphic Design tools. He has taught and implemented Process and Change Management in various applications. He is very experienced in process change surrounding distribution and customer service and billing. Mr. Dow is a licensed Professional Engineer. 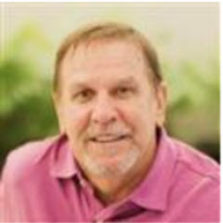 Mr. Camp has over 34 years proven experience working within electric utility and Regional Transmission Organization (RTO) industry, 17 years of which was spent working for a utility in the areas of planning, operations, power marketing, supply portfolio management and organizational restructuring. 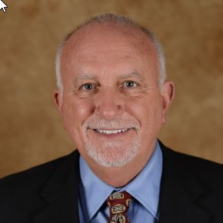 Mr. Camp specializes in RTO wholesale power market operations definition, market design, documentation and implementation and has experience in Non-Utility Generation contract renegotiation and development and identification of stranded costs associated with electric utility restructuring. 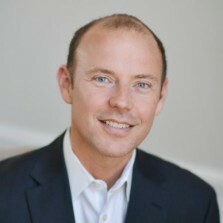 Mr. Schwant possesses 15 years of experience within the US Energy industry. 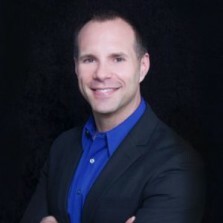 He holds a Project Management Professional (PMP) certification and has extensive experience leading large and complex change management projects. 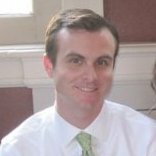 William’s projects include preparing clients for Market Changes (ex: EIM, ERCOT Nodal, CAISO MRTU), delivering System Implementations and Integrations (ex: GMS/EMS), custom Software Development and Business Process improvement initiatives. William’s core skills include value identification, change & expectation management, stakeholder management, requirement identification, software evaluation, and business process management. A graduate of the University of Texas at Austin, William holds a BS in Electrical Engineering, paired with a business foundations certificate. Mr. Lee is a Qualified EMS/SCADA and RTU systems project engineer with over 30 years of experience with Energy Control systems development, configuration, commissioning and maintenance with excellent written and oral communication skills and proven proficiency in client/server problem solving, decision making and analysis and system design. He is a self-motivated individual with a positive team orientated attitude. 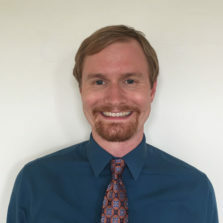 Mr. Gill-Sanford has nine years of experience in transmission strategy, transmission policy, transmission planning, stakeholder outreach, and market assessment and integration. He is highly knowledgeable about the California ISO Energy Imbalance Market (EIM) and has drafted OATT revisions and made EIM-related presentations to transmission customers, FERC, and state regulators. He has performed transmission availability studies related to EIM for FERC Market-Based Rate filings. Mr. Gill-Sanford has also been actively involved in transmission contracts and transmission policy development with organizations such as Bonneville Power Administration (BPA), ColumbiaGrid, and Northwest Power Pool. 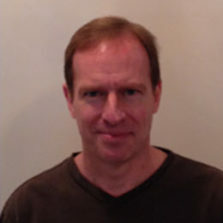 Mr. Becker is a solution architect with more than seventeen years of consulting experience. He has worked in the energy and utilities sector for over fourteen years. In addition to solution architecture, Mr. Becker has significant experience in infrastructure, integration and system implementation. He has been involved in the design and implementation of infrastructure and applications under multiple versions of the CIP standards.